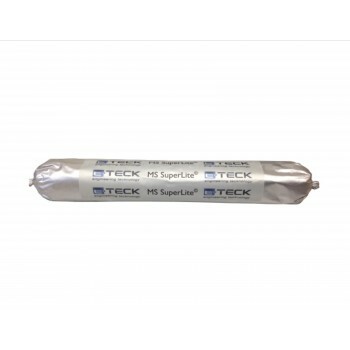 E-Teck MS Superlite has all the characteristics and benefits of a mainstream MS Polymer and it is free of isocyanate, solvents and silicone, and it retains the same moisture curing mechanism with neutral polymerization. It is odourless and can be painted wet on wet or after curing and has good adhesive bonding properties for light applications and across a range of substrates. Superlite, as its name suggests has and extraordinary low density of just 0.33 g/cm3 which means on average it is nearly ¼ the weight of conventional PU or MS Polymer, product dependant. - Bonding of light weight substrates (where structural bonding is not required). - manual cartridge gun or compressed air gun. - automatic dispensing using 20 litre production line drum. Substrates must be clean and grease and dust free, use of E-Teck’s Puresolve cleaner degreaser is recommended.